We were shocked but not surprised by Mercedes’ pace at the Australian Grand Prix. This columnist doesn’t pretend to know the inner workings of the ongoing Brexit debacle, suffice to say the most concern relates to its potential impact on Formula One’s ongoing sustainability. 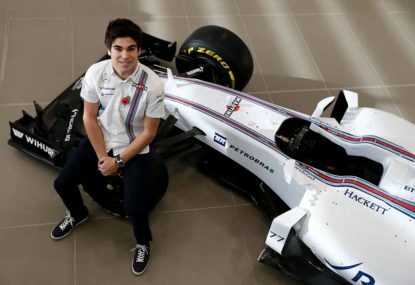 The term silver spoon has been closely associated with Lance Stroll since entering Formula One, not least having switched to the team under his father’s control, but the Canadian deserves the opportunity to prove his credentials in decent machinery. Nico Hulkenberg and Romain Grosjean have been staples of the Formula One grid for the best part of a decade, sharing more than 300 Grand Prix starts, yet it’s hard to believe that neither has recorded a victory whilst one hasn’t even graced the podium. 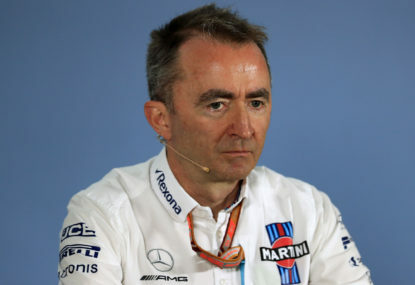 Williams’ hellish pre-season has claimed its inevitable scalp on the eve of next weekend’s curtain raiser, with chief technical officer Paddy Lowe taking “a leave of absence”, tacit confirmation that his services are no longer required. 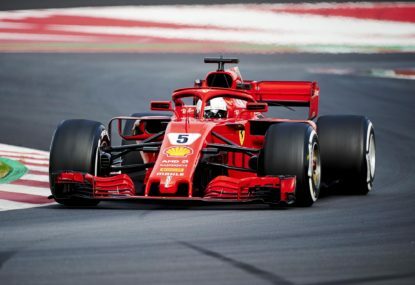 Ferrari appears to carry an edge following pre-season testing for the 2019 Formula One World Championship, Mercedes hasn’t revealed its hand – but until proven otherwise, won’t surprise anybody if it turns up at Melbourne with the fastest car, while Red Bull has been its coy self. 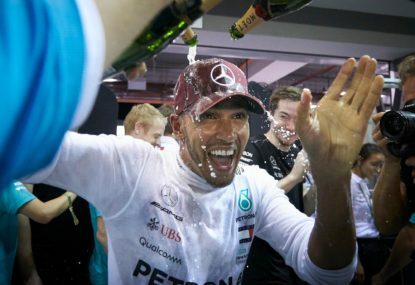 Lewis Hamilton formalised a fifth World Championship at Mexico on Sunday, becoming just the third driver to do so. 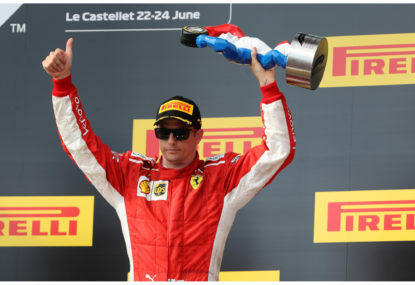 Just when it appeared the day would never arrive and in the twilight of his Ferrari relationship, Kimi Räikkönen broke through for an immensely popular victory at the United States Grand Prix, which represented his first in almost six years. 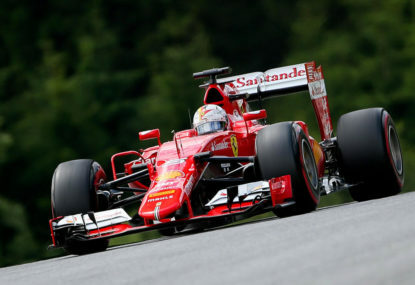 Has the Vettel-Ferrari partnership peaked? Sebastian Vettel’s Ferrari tenure is striking some parallels to his predecessor as his bid for a fifth title and first for the Italian outfit draws nearer to being switched off life support. In the same week that Ferrari promoted Charles Leclerc to its senior team, Pascal Wehrlein announced he was severing his Mercedes ties, while his fellow Silver Arrows development driver, Esteban Ocon, appears resigned to falling off the grid in 2019. Make no mistake, Charles Leclerc is befitting of his rapid ascension to Ferrari, though the cause and unknown effect of a move which gained, lost and rediscovered a decisive momentum have shifted considerably in recent months. 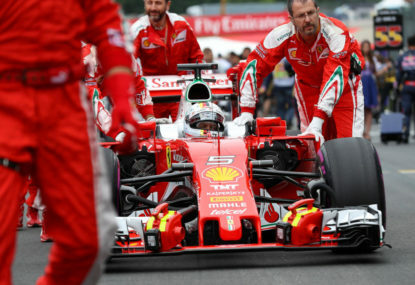 The title which appeared to be Sebastian Vettel’s to lose until sliding into the barrier whilst leading the German Grand Prix in July has descended into an outright unlikely occurrence following his latest slip up at Italy. Despite the early season conjecture that he’d join Ferrari, Mercedes, and more outlandishly in recent times – McLaren, it appeared that Daniel Ricciardo would remain at Red Bull for the foreseeable future. 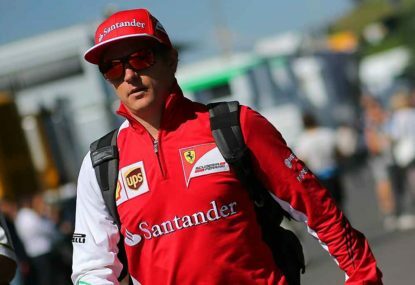 What next for Ferrari and Kimi Raikkonen? Sebastian Vettel threw away victory at the German Grand Prix, yet the events which took place away from the circuit have potentially greater implications for Ferrari moving forwards. No doubt Red Bull has boasted a great chassis for some time along with a generational talent, though from a pure look at running reliably – which wasn’t the case last year with Renault, it’s a very encouraging start that Honda hasn’t compromised its competitiveness in lieu of reliability. That was an April Fools piece if I remember correctly????! And it’s come to light since then that McLaren’s internal shortcomings had more to do with the disappointments of that partnership than Honda. Honda would have been rapt to end the partnership considering what it paid McLaren and the reputational damage incurred. Even if its PU wasn’t up to scratch then, it seems that the latter should have been more patient waiting another year. Hindsight is a wonderful virtue! Each driver’s record in comparison to those from a different era will always be subjective due to circumstances. 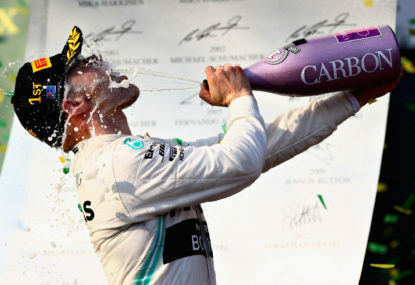 I’m no Hamilton fan, and was a huge Schumacher fan, but if he eclipses the German’s feats, he will have to be respected regardless of how many variables – races per season, opposition of the day etc, are encompassed. Indeed, it’d be a shame if Hamilton’s increasingly certain title is remembered more as the one that got away from Ferrari and Vettel, when the Briton is driving as well as ever. The thing about his momentum is that whilst he might not always have it, when he does, he’s unstoppable and Ferrari/Vettel seem too far gone at this point to reverse the post-Germany damage. As I’ve also surmised, Leclerc’s promotion has less to do with Raikkonen than holding Vettel accountable, when a few months ago it was entirely related to the Finn’s performances. Even with Raikkonen driving as well as he has since rejoining Ferrari, Vettel remains comfortable, so Leclerc in representing a very long term future means the German has the next two seasons at most to deliver, otherwise Ferrari will have no issues casting him aside once his contract expires. Ferrari ditched Schumacher after he claimed five titles, so there’d be no qualms about moving Vettel along if he hasn’t won any, and if Leclerc is immediately on his level next season, it’ll be fascinating to see if the German’s relationship with the team deteriorates. Vettel’s campaign actually bares a strong resemblance to 2010, when he continually tripped over himself, yet having multiple title rivals meant that he never had to move mountains to remain in contention. This time though, he has one rival who has been nearly flawless, and even when Hamilton is having an off weekend, he still does enough to maintain the pressure. Vettel seems to be unable to settle for a lost immediate battle in the context of the war and more often than not, and his refusal to retreat and minimise his losses whilst Hamilton claims maximum points means his task in on the verge of becoming insurmountable even if the Briton isn’t winning every race. 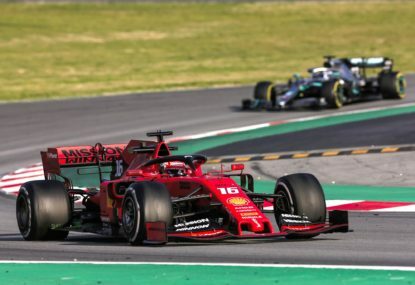 It rarely comes to pass, instances like Schumacher and Alonso at Ferrari coming within a hares breath when they had no right to do so are as close as anybody has been with inferior machinery in recent memory. Vettel is doing everything he can not to win whilst Hamilton is always there to pick up the pieces, and Mercedes at a level some way off the heights of 2014-2016 still seems to be imposing enough to cause Ferrari to implode. They’ve both already justified their berths on the grid, though each would be served well not to be thrust into the big time too soon. 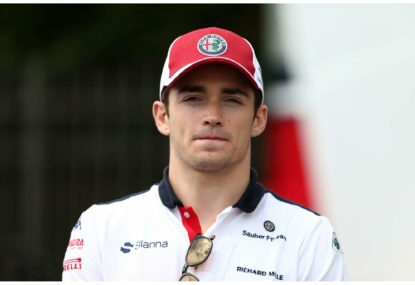 Leclerc shouldn’t arrive at Ferrari any earlier than 2021 following two seasons at Haas – he’ll still be just 23, whilst Gasly should be cautious of the Kvyat experience so at least another season at Toro Rosso is logical. 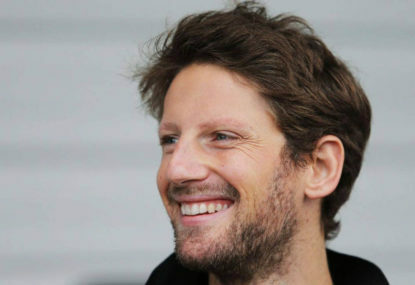 As long as Grosjean continues to make a meal of each weekend, a Leclerc promotion appears certain. On his current form certainly not, though Renault would consider his nationalistic appeal if he gets his act together and Sainz is forcibly taken off its hands. I’d again say that some of Grosjean’s best drives came in 2015 and he was for the most part solid in ’16, though highlights have been few and far between since. I wouldn’t say he’s at the point of no return, though the rest of the season is pretty crucial to his future. From the hype he had when he joined Haas, his value has slid drastically following 2016. Regarding Alonso, everybody loves the theatre of his ‘plight’, so it’s only natural that he receives the greatest airtime. The key is to find the sources which report on the real news rather than rehashing a theme which hasn’t changed nor looks like changing anytime soon! The pity is that his raw speed is quite pronounced, though he’s very rarely unlocked it in recent seasons. Coupled with his usual whinging, he isn’t an attractive proposition on the market. Gasly will be first in the line if he repeats Bahrain performances, though I suspect Red Bull will see what happened with Kvyat being elevated too quickly, and now to a lesser extent Verstappen, and hopefully learn its lesson. Then again, maybe it hasn’t… That said, Sainz hasn’t set the world on fire at Renault, he was fortunate to bag a large haul of points in the attrition at Azerbaijan. He’s proven what he’s capable of – some great drives during his final season in a poor Lotus and first at Haas. Though his performances have never been sustained and far too frequently he gets carried away with moaning about brakes, traffic or some political statement rather than focusing on the job ahead. The ball is essentially in Red Bull’s court if it is that desperate to retain Ricciardo, and the first step surely related to engine supply. 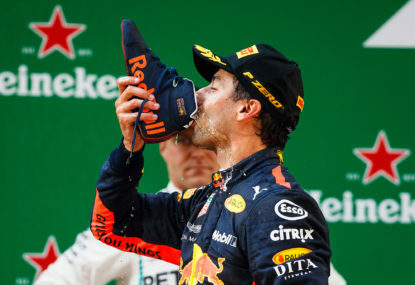 Once this is known, a decision can’t be far away for Ricciardo, though he shouldn’t feel as though he owes Red Bull anything, he’s been patient for many years, and he needs to take a leap of faith if in doubt. He has the fortitude to enter the lions’ den at Ferrari despite the ‘number two’ convention and make the operation his own, That said, he’d fit in perfectly at Mercedes, where’d he’d equally enjoy Hamilton’s respect as much as Vettel would from 2014. All Mercedes has to do for now is remain in touch, it’ll be most telling in the back half of the season if Ferrari again implodes. 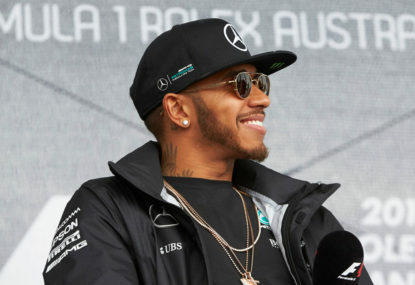 If its current results can be described as a slump, they’re not doing too poorly, so once Hamilton is back on his game, and with some more luck for both drivers, regular victories can’t be far away. I think you’re right when you say it’s more down to Hamilton since Australia particularly, and Bottas at Bahrain, than Mercedes itself, that it has failed to register a victory. If Hamilton rediscovers the zone, he’ll be close to unstoppable once more, though for now, Bottas appears more comfortable with some of the W09’s sensitivities which are more pronounced than its predecessor. He seems to serve one purpose, and regardless of how competitive he is, there doesn’t appear to be any appetite to give him a legitimate run at victories. It’s nothing new from Ferrari and really does make it difficult to support much of the time, though any breakthrough where the Finn circumvents pit wall and other sorcery will be very sweet. Bottas appeared extremely comfortable at Abu Dhabi, though he will need to bring this standard to all events in 2018 if he’s to be any patch on Hamilton. Hopefully he’s learned from his team-mate through the season and with time to catch his breath, knows the benchmark moving forward. 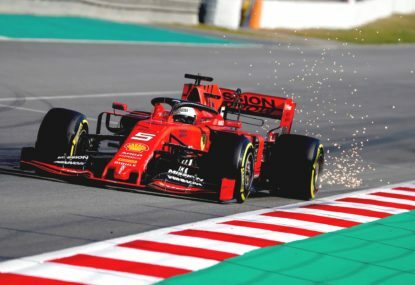 I’d give Ferrari a chance to demonstrate whether it has paid attention to its deficiencies and don’t choke in the spotlight in the early races. If they’ve addressed this, there’s a small chance yet that it won’t be all silver for the balance of the decade, though Mercedes is that clinical that any slip ups will again be punished immediately. There have been recent reports that Ricciardo is set to ramp up negotiations with Red Bull in coming weeks, who knows whether there’ll be a swift extension or that his employer for 2019 won’t be known for some time. Mercedes looms as the strongest alternative with Ferrari content with its current lot and an eye on Leclerc sooner than later. It’s what Bottas makes of his victory that is more crucial than Hamilton, who won’t be deterred in the slightest. If the Finn can harness his strong finish and apply himself to that level across an entire season, he can change the perception that he’s merely a steady set of hands. Not to be pedantic though Palmer did indeed contribute points at Singapore – though very few will remember this in years to come! The acrimony between Toro Rosso and Renault makes the scrap for P6 even more intriguing. To that end, it’d be amusing if Haas usurps both – a la Vettel on Alonso and Webber in 2010, if they continue to engage in politicking. 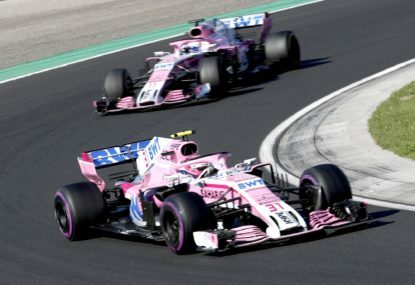 It’s difficult to see the former adding further points to its haul this weekend following the nightmares of recent events, coupled with concerns over the Renault components even lasting through Sunday. Most of the sceptics equate the sport’s relevance with the costs and automatically decree any reduction as representing a failure, when the purpose is to be the most efficient and indeed relevant at the lowest cost. Formula One’s extravagant bottomless pit of funds is something from the past, and there’s no reason why more economical regulations can’t work. Ferrari should be grateful to have received free publicity from its presence in the sport if nothing else. Ultimately it exists to sell cars rather than promoting any correlation to everyday vehicles, and that it continues to do in abundance, though it doesn’t entitle them to a direct passage to victory. Mercedes stands to lose the most through a switch in regulations which can level the field again, as this season’s shakeup has done little to quell its’ dominance, which makes rivals’ reluctance to embrace change even more confusing. 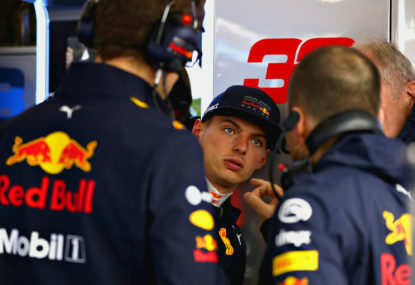 That Red Bull didn’t have a viable alternative within its ranks is the first misstep, though the notion that they’ve turned to an ex-alum suggests they blundered when they initially cut Hartley loose. He deserves the drive as it is and it’s a win win for both parties if they enjoy a successful collaboration. There’s an obvious expectation to deliver, and most teams are sceptical that an ex-F1 driver may still not cut it if they were given a second chance, though many are unprepared for its rigours when they receive their initial opportunity, so it’s rough when a 22-year old is exiled from any future. 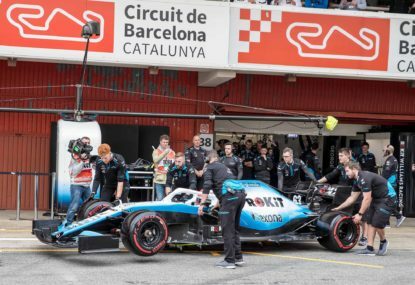 By extension, if as is certain and Kubica returns, he will need to perform at some point through the season to justify his retention, once the novelty wears off he is the same as any competitor, yet on pure talent there’s no doubting he deserves to show everybody what he has, and what we’ve missed out on the past seven years. A lot of the outcries seem to be dictated by those who are simply comfortable with the familiarity of the present and scared of an unknown future. 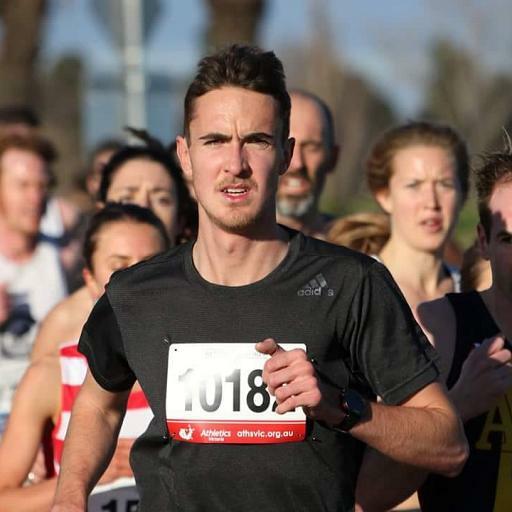 Instead of pandering to a particular portion of the sport’s stakeholders, its participants should relish pioneering a new formula, so to speak, and whichever benefits that translate to the public will follow. The World Championship is rising seven decades whilst undergoing countless revolutions, there’s no reason why whatever the next direction the sport settles on should be treated any differently, and those who don’t like it can leave, whilst others will enter as in the past. What is Formula One — and what should it be? A lot depends on which terms Alonso negotiated based on his fortunes over the past few seasons. Perhaps he has the flexibility to compete where he sees fit within reason, though you’d hope that McLaren’s switch to Renault proves successful enough that the Spaniard prioritises F1. As I suggest, a hitout at the 6 Hours of Spa-Francorchamps ahead of Le Mans might be enough to sate his appetite. Could Alonso dovetail WEC with F1?